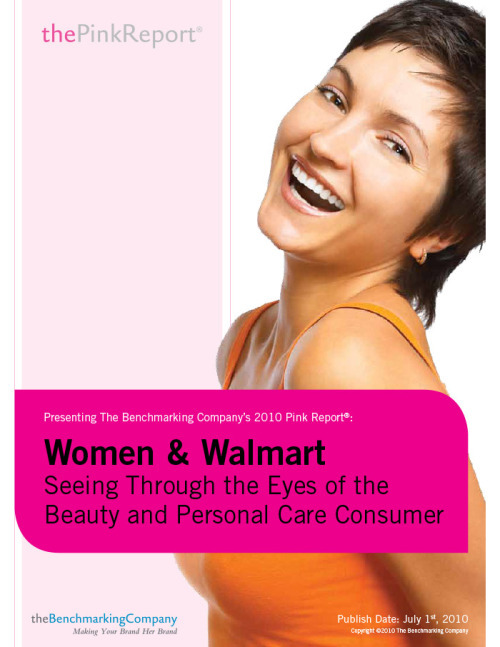 Women and Walmart: Seeing Through the Eyes of the Beauty and Personal Care Consumer, brings you an in-depth look at the female Walmart consumer, with extensive qualitative and quantitative primary research dedicated to unearthing what internal and external forces are steering her shopping cart. 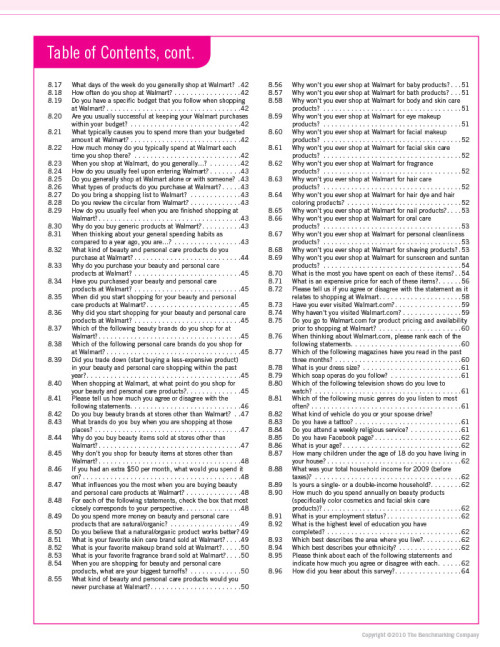 Why does Walmart matter to The Benchmarking Company? For the very same reason that Walmart should matter to your brand and to consumers. 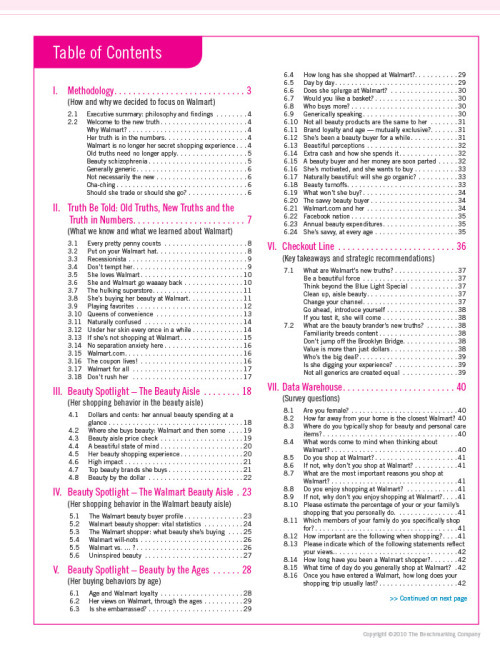 No other retailer is impacting the way the beauty consumer shops more. Walmart is poised to influence her in a deep, lasting and trend-setting way — a way that will affect her and the entire beauty industry. To not know what is happening at Walmart is to be guessing and behind the eight ball. With a global presence, massive loyalty and a finger on the pulse of what is important to consumers, Walmart doesn’t just define the retail landscape for convenience — it is defining it across all categories.